As far as modern Christian fiction is concerned, this is one of the better novels I’ve read. Kate is a fairly realistic character, a woman lawyer who struggles with depression. She obsesses over her career, immersing herself in her work for long days to cope with the emotions that rise when she has downtime. Kate genuinely cares about her clients and works hard to ensure they receive the justice they deserve. I did struggle with Kate’s attitude toward her clients. It came across as if Kate would only accept clients who she believed were genuinely innocent of any wrongdoing. I don’t know enough about the law industry to know if it’s possible for lawyers to only accept certain clients, especially when they work in a firm and have other lawyers above them in the pecking order. Kate switched from defense to prosecution because she wanted to protect those who had been wronged. But what about those individuals who had been wrongly accused of a crime? Don’t they deserve a lawyer who believes in them? The legal aspects of this novel were extremely well explained. The author took care to explain various laws and court procedure but was able to explain things without talking down to the reader. This is difficult to do well! I appreciated that. I have read a few legal thrillers and have watched a LOT of legal thriller television and movies. So the novel didn’t teach me anything new in that area but I also didn’t feel as if I was wasting my time reading legal explanations for the lay person. The romantic relationship was a bit… sappy. Landon’s character was slightly girly. He is a former Army Ranger and yet his internal thoughts were not very manly. He came across more like a romcom lead than an ex-military private investigator. This made the relationship development seem cheesy and unbelievable. It felt more like how a woman daydreams about a man’s thoughts toward her rather than how a man actually thinks. Overall, Deadly Proof was a great read! I just put the second book on hold at the library and can’t wait to read other novels by the same author. Thank you to Bethany House for a free copy of this book in exchange for my honest opinion! First of all, I owe a huge apology to both the author and the publisher of this book. Life got crazy, I wrote down the wrong date for the blog tour, and now I’m late in getting my review published. But I wanted to make sure I honor my commitment, though it’s late, so here goes. 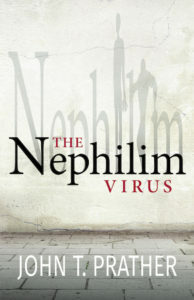 The Nephilim Virus, written by John T. Prather, is not my normal choice of reading material. 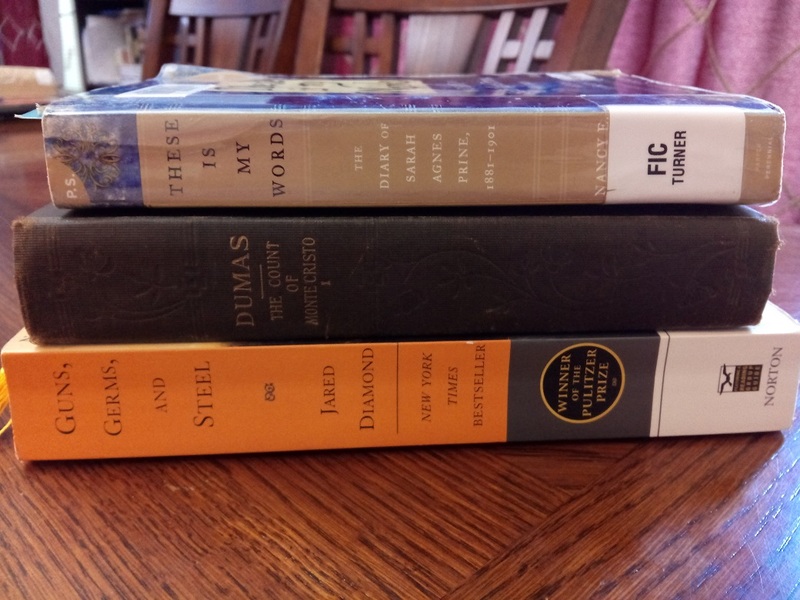 I generally gravitate to historical fiction, Christian contemporary romance, or nonfiction. However, I’ve really been wanting to branch out in my reading, choosing other genres in hopes of finding some new favorites. When I saw this book available as a review copy, I decided that it was a good choice in my attempts to branch out. 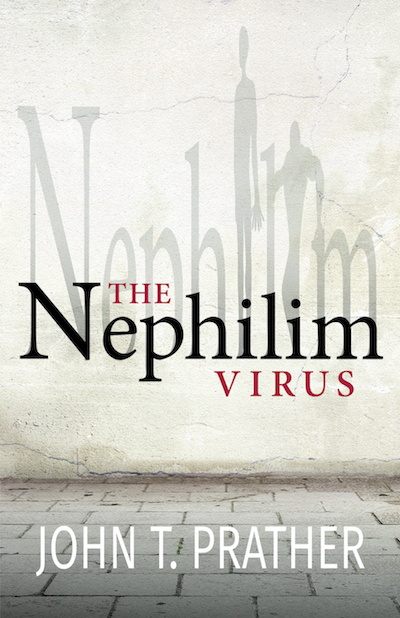 The Nephilim Virus is an intense book! It is entirely plot driven and the action never stops. I’m a mom to two teens (demanding and time intensive parenting for sure!) and yet I could barely put the book down. It was suspenseful! I had to keep reading to find out what was going to happen next. Was Nick going to find the other virus survivors? Was he going to be able to save the human race or was life hopeless? Events kept happening, never a dull moment in Nick’s life. 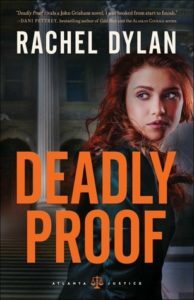 I felt the novel sacrificed character development for constant plot development, but that may be more common in the thriller genre. My only real criticism about the novel is that the ending felt entirely too rushed. Until the last 25 or so pages, I thought for sure that this was going to be a series. Then all of a sudden, the novel ended and everything was wrapped up. A sequel might have been a good idea to help the ending feel more realistic. I’m also curious if this book was written with the intent to bring it to film. The chapters were short, quick scenes that advanced the plot. Dialog was short and snappy. Since the author is also an actor, I can easily see how he could write the book intending it to someday be on the big screen. I am definitely glad that I read this book. While supernatural thriller will never be my favorite genre, The Nephilim Virus was definitely worth the read. It’s an adventure story that kept me at the edge of my seat. One of my absolute favorite things about New Years is the opportunity to brainstorm a reading list for the upcoming year. I’ve always had a lot of fun with this. The past few years, I’ve picked a couple series of books to read, as well as standalone titles from my to-read list. This year I’m doing the same, except I decided to read a few specific titles along with my best friend. Here’s my list for 2017. The TJEd list isn’t a reading challenge, per se. It’s actually a self-education outline, reading a lot of the great classics in a specific order. I have no plans to finish this list in 2017, as it is quite long and involved. But I would like to get started and make a dent in the list. 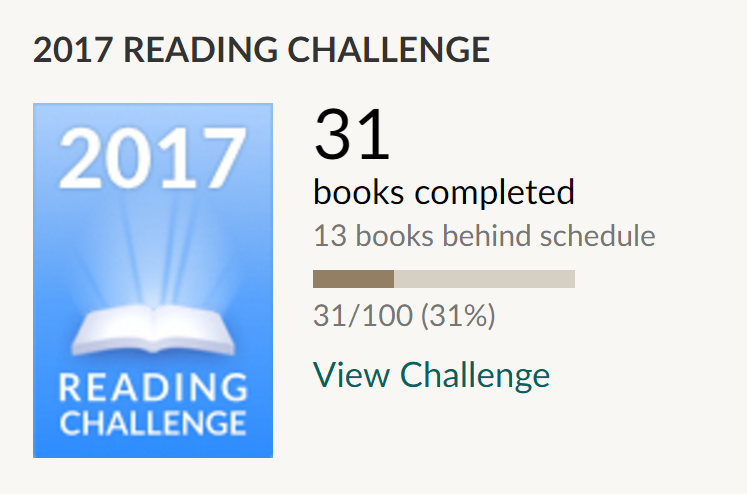 I also set a Goodreads goal of reading 100 books. I far exceeded that last year. My total is unknown, as I’m still entering a few books from December. Some of those were readalouds I did with my daughter, but I read a lot for myself. If you want to be friends on Goodreads, please add me! I love meeting new readers. Here’s to a wonderful year of reading! Now in her eighties, Perla Phillips has carried a secret since she was eighteen years old. When she sees her granddaughter, Ella, struggling for perfection, she decides to share her secret to show that God can use even the biggest mistakes for good. But before she can reveal what happened during that summer sixty years ago, she has a debilitating stroke. Carrying a secret of her own, Ella arrives back in Wise, West Virgina, to help her aunt Sadie care for Perla. Both know the woman wanted to tell them something, but she’s now locked in silence. Together they begin looking into the past, but they may learn more than they expected. Will they have the courage to share their hearts? Or will the truth remain buried forever? I love reviewing books by Bethany House! I eagerly read over each and every monthly email, trying to figure out if they are offering a book that I would enjoy reading. I chose A Tapestry of Secrets because of the cover. I adore quilting and novels about quilting. 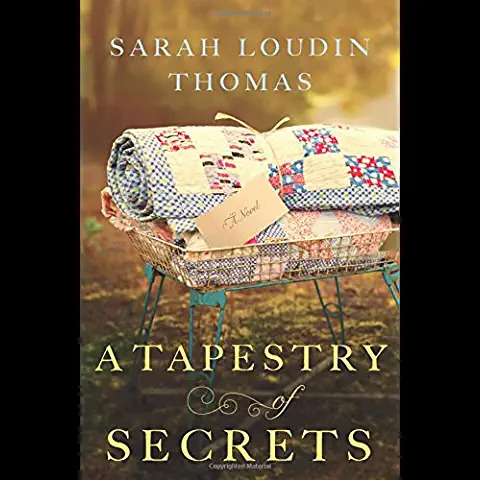 Sarah Loudin Thomas is a new-to-me author. When I requested this book, I think I knew that this was in the middle of a series but thought it would be ok to read out of order. In that regard, I was correct. I have no idea which characters the two earlier novels are about. This book can be read on its own, without having to read the other novels. Unfortunately, that’s about the only good thing I can say about it. The main character drove me insane. I wanted to reach into the pages and slap her until she developed some common sense and decency. Ella was recovering from a bad relationship and yet she continued to drool over multiple men at the same time. I understand looking around and contemplating your options. But if you are seriously considering dating one man, please do not talk about how the other one is a hottie and maybe you should date him! One at a time. Evaluate a man based on his own qualities, not compared to someone else in your circle of acquaintances. From her internal dialog – “then again, maybe she shouldn’t be too quick to lean in any one direction.” Really? When you cannot stand the main character, it doesn’t matter how well written the story is; it’s painful to read. I wish that the author had spent more time talking about Ella’s art. That was what I was most interested in. She designed quilting art. Wall hangings, quilts, but with a nontraditional flare. Some of the descriptions of Ella’s work were very vivid and I was intrigued to learn more about the process of how Ella gained her inspiration, chose her materials, and created her art pieces. But other than a couple of short passages, the book never delves into the quilting aspect. I was disappointed. Still, thank you to Bethany House in exchange for my honest opinion! All thoughts are my own. I have very mixed feelings about this book. Overall, I’m glad that I read it. It was an insightful look at Uganda’s culture, the living condition of the poorest of the poor, and how the chess program started in Uganda. However, the book took a long time to really get started. There were life sketches of people whose names meant nothing to me and I wasn’t sure why they were included in the book. There was a detailed history of the establishment of the chess program, which was interesting, but I wasn’t yet hooked because Fiona’s story had not yet started. Even after Fiona’s story started, I still didn’t feel connected to her. It was almost like the author didn’t really know her and was only doing an outsiders summary of her life. It’s entirely possible that Ugandan culture, specifically that of the slums, does not allow outsiders to get to know someone. But I long for details, thoughts, and feelings of the people who are being written about. Not just a fact sheet. The details of life in the slums were absolutely heart breaking, but that didn’t give much insight into Fiona herself. I will be interested to see the movie when it is released. I’m sure the movie will be a tearjerker, as it shows the horrible living conditions that Fiona is accustomed to. I enjoy real life movies, inspirational films about people who come from a rough past and overcome huge odds to make something successful of themselves. Hopefully Fiona is able to rise above her circumstances as well. It seems too early to really tell. Much thanks to The ravū Collective Team for a free copy of the book in exchange for my opinion. All thoughts are my own. I am really not sure how to review this book. Overall, I was extremely frustrated. But as I outlined my complaints to my husband, he told me that everything I am describing is normal for the fantasy genre. As I rarely read fantasy, I’m not used to these particular characteristics. 1 – The plot is massive. There are many events going on at the same time and it was difficult to keep everything straight in my mind. 2 – There are way too many character POVs. The characters kept changing. There were even a couple chapters written from the perspective of very minor characters, simply to present a minor detail that could not be shown from another character’s perspective. 3 – The book had no ending. The story just cut off! It is clear that this is intended to be a series. 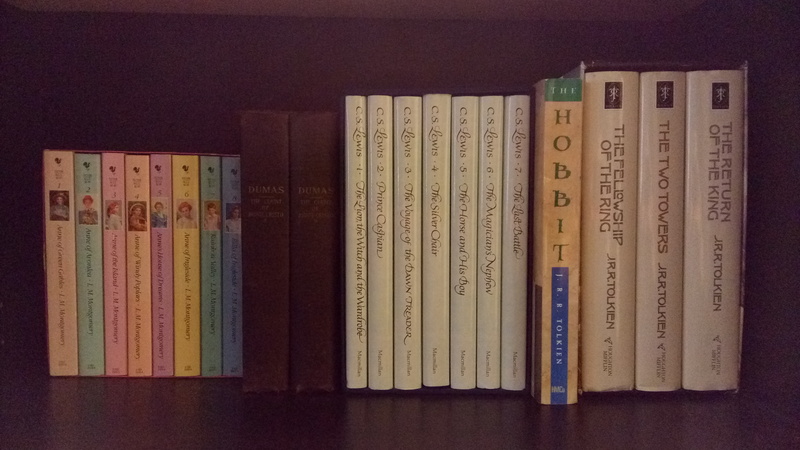 I read plenty of series and each book is usually a complete story in itself. The next book usually continues with the same characters or tells another story about a minor character from the previous book, that minor character now being a main character in the current book. King’s Folly, however, cannot be read on its own. If you want to know how the story ends, you have no choice but to buy or borrow the next book. My final complaint is one that is independent of the fantasy genre. This book was published by Bethany House, a Christian publishing company. However, the book is not Christian in the slightest. Other reviewers have written that it is an allegory, but I don’t see it. It’s not like either Narnia (allegory) or LotR (religious themes). Maybe the second book will contain “conversion scenes” that turn this into a Christian story. But King’s Folly (in my view) was not a Christian book. I was disappointed. Thank you to Bethany House for a free copy of this book in exchange for my honest opinion. Yet another great Dee Henderson book! I was excited to read Traces of Guilt because it is about a woman who tries to solve cold cases, those that beg for closure after years of being unresolved. The story was told well, several plot lines woven together to create a very interesting time line. Like all of Henderson’s novels, the writing is fantastic. Even after all this time, I still have the same complaint about Henderson’s books. All of her characters are too perfect. Sure, they have “flaws.” But the flaws are more like quirks rather than true struggles. All of the struggles are external, man versus environment or man versus man. I really wish I could see more man versus himself (or herself!). I can’t really relate to any of the characters because they don’t struggle with anything real. The occasional character doubts himself, but that’s it. Most are confident, talented, multi-faceted, and everyone loves them! Even with this complaint, I will continue to read Henderson’s novels as they are published. Why? Great stories! Thank you to Bethany House for a free copy in exchange for my honest opinion. I received an email from Goodreads with a summary of the first quarter of 2016. 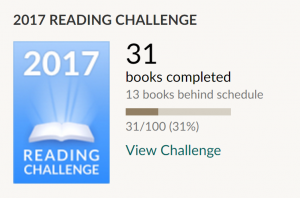 As of March 31, I had already reached 65% of my reading challenge, which is to read 60 books in 2016. I think my goal was a bit too low! When I set the goal, I had no idea that my daughter likes to read constantly. We’ve been doing a good job keeping her in Chinese books and my hope is that someday she’ll be motivated enough to start reading in English. Then the whole library will be open to her. 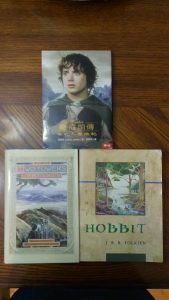 Last week I finished The Lord of the Rings! The whole family read the series together. My daughter finished first and I finished a few days after her. My husband is still plugging along but he has that pesky thing known as a job, which distracts him from much more important pursuits like reading and playing Animal Crossing. Life with a teen is hard. Life with an adopted teen is even harder. Life with an adopted teen with a trauma history is exhausting. So happy that we can read together every day. The Count of Monte Cristo but my husband wanted to read it with me and isn’t ready to start. I’ll probably finish a couple fluffy books and then dive back into my to-read list. I love reading challenges. Toward the end of 2015, I seriously contemplated searching for a couple of challenges but never found the time to wade through hundreds of websites. So I created my own! 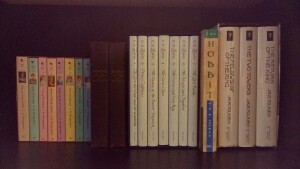 (The brown books are The Count of Monte Cristo). Frankly, I am shocked that I have already read so many books in just two months. My daughter loves to read so we often read during meals. We visit the library several times per week and will just sit and read. So she and I are both plowing through books. Recently, we started reading the same books. Mine are in English and hers are in Chinese. She’s been reading Narnia and today started reading The Fellowship of the Ring. Baba is currently reading The Hobbit! When we’ve finished reading the books, we will watch the movies. I’m so grateful that our entire family has an interest in books. Tonight I’m going to start reading the sixth Narnia book. If I continue reading books as quickly as I have been, I’ll have to add to my 2016 reading list. Jane Austen? Yes!